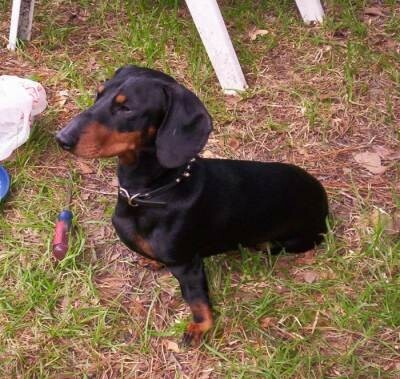 The Dachshund had a lively, upbeat personality--spunky, curious and friendly. 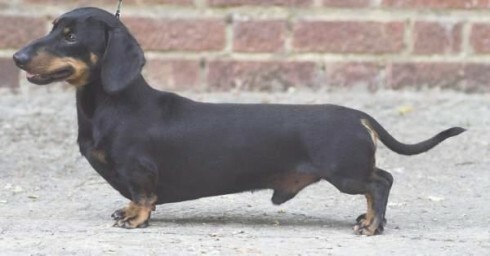 These traits remain from the Dachshund's original job: "Dachshund" means "badger dog" in German, and he was created to hunt down badgers. 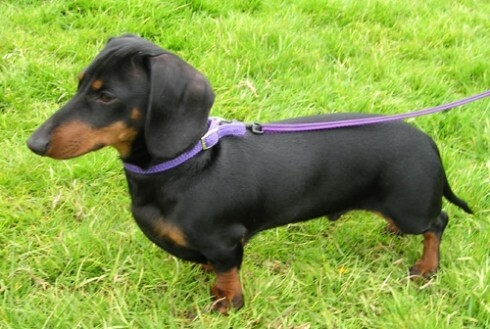 The Dachshund was developed in Germany more than 300 years ago to hunt badgers. 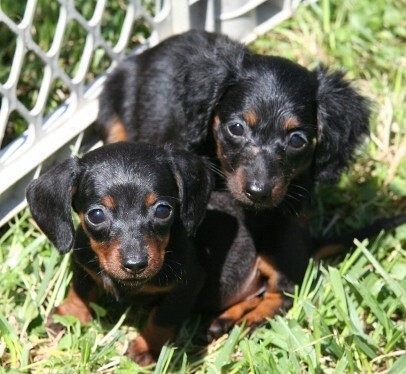 So you want to own a Dachshund? 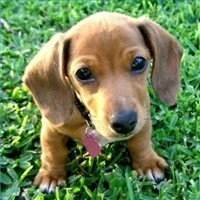 Dachshunds require minimal routine brushing to keep their coats healthy and in good condition. 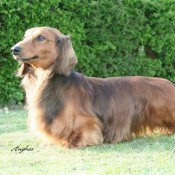 The longhaired and wirehaired Dachshunds may require extra grooming or help from a professional. The Dachshund is naturally free from "doggy" odour. 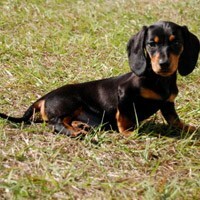 The Dachshund makes a good companion whether you live in a small city apartment or the country. 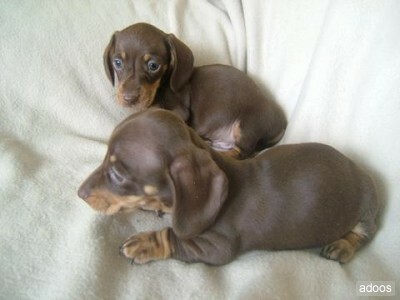 Dachshunds are loyal. 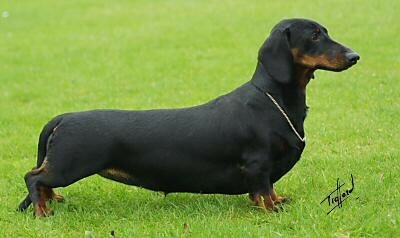 Dachshunds are generally easy to train for the show ring, and many of them really enjoy showing. Medium size, almond-shaped, set obliquely. Dark except in chocolates, where they can be lighter. In dapples one or both ‘wall’ eyes permissible. Smooth-Haired: Dense, short and smooth. Hair on underside of tail coarse in texture. Skin loose and supple, but fitting closely all over without dewlap and little or no wrinkle.